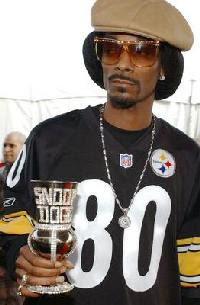 Superbowl Week: What do you wear to the party? I started thinking about this, and realized that the most important thing here is not style, or really looking good at all. it’s comfort. whether you find comfort in a pair of sweats (as long as they aren’t these striped monsters we all remember from the 90s) that’s fine. if you want to wear the jersey of your team that isn’t playing in the game, that’s fully acceptable. this is especially true since its the last time you’ll be able to do so before next september without looking like a “thug.” and realize that you’re going to be diving into a lot of finger foods and napkins are always an after thought at a party thrown by men, so you’ll likely be using whatever you have on. and if i see you wipe your greasy hands on my couch, you’ll be kindly asked to sit on the floor the rest of the game and eat all of your food out of a bowl. so lets keep this short and sweet, like a midget delivering flowers and summarize. wear whatever you want to the party tomorrow. however, one piece of clothing is off-limits. for tomorrow and for the rest of the year for that matter. unless you’re tom landry or bruno mars (which quite frankly i think bruno is ready to move on to something new but his pr guy is always telling him “that’s your image” like tom hanks said to shades in “that thing you do.”). 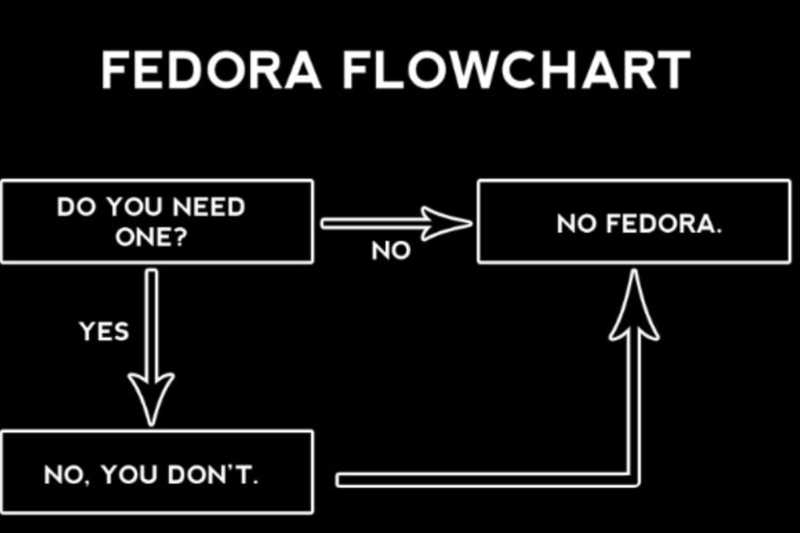 the fedora. i’ve even included a helpful flowchart below to help you decide whether or not to bust one out for tomorow. enjoy the game, the food, the beer and the friends tomorrow. and as we all know – don’t drink and drive.